I was googleing about, and came across this. As far as I know at the moment, this is the only place you can find information about running Ultrix on SIMH’s MicroVAX II. *This post is now just historical the downloads in question are long gone. Well I was going thru some boxes, and I pulled out this copy of Windows NT 4.0 workstation that I got in Japan… I figured I’d install it to see if there was any cool themes/backgrounds unique to Japan.. There was some stuff for Windows 95 & 98 but not as much for NT. Click here for the Japanese download. Then you can select your editions, and save it to a folder.. You should save this as it will disappear one day…. I hope they get them back up soon.. In the meantime I finished my Windows 95 notes (well for now) and I have put them on gunkies. I’ve also done some preliminary notes on Windows NT 4.0. Anyways it’s been … boring.. so I thought I’d kick this much into the system… I may also start hocking some pre-installed OEM Qemu stuff… lol. Author neozeedPosted on July 26, 2009 Categories UncategorizedLeave a comment on Qemu forums are down.. I still think it’s got great potential but that my be just me..
Also The Unix Heritage Society has gone wiki as well… I wish I were an authority on ancient Unix, but it does have potential it only needs people to start…..
Anyways I’ve managed to upload binutils/bison/flex/gmake & a few versions of GCC. I haven’t built the c++ compiler as of yet… I just built nethack but I can’t finalize the upload though.. This post is just pure historical at this point. MSN has been shuttered, and it lives in through Escargo. Well as long as you have either installed Terminal Server 4.0 in the ‘right order’ or with Server / Workstation you can probably ‘just install’ this fix..
First you will need the MSN 5.0 client. It will install but on connecting it’ll declare there is a newer version which it’ll download but will not work… And you’ll be stuck in a loop. Thankfully, Jonathan Kay has a fix! This looks like a bug and wouldn’t be the first time these older clients have been messed up. I’ve made some enquires to find out one way or another. 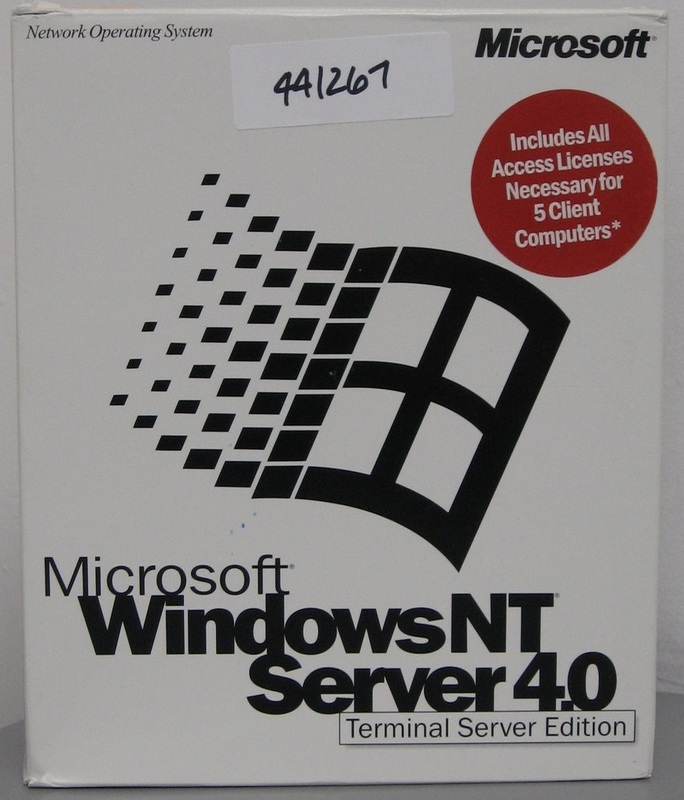 Well this is great news for NT 4.0 &Windows 2000 users! Install Internet Explorer 5.5 (for MSJAVA) *skip webfolders. This is the best way to ‘balance’ the software as most things will NOT play nicely if it’s installed in the ‘wrong’ order.. It’s.. annoying which means format & try AGAIN..  This is the drawback to Terminal Server 4.0 it was such a … public ALPHA. I know for most people using mkisofs is second nature, but I needed to get a machine running MS-DOS without floppies… and it had to be on the bare metal.. Oh joy. ..\mkisofs.exe -o ..\x.iso -J -r -v -V test_disk -b dos622_1.img . And I get an x.iso that can boot MS-DOS, and has all the dos commands in place, I can partition & format the hard disk and copy DOS into place. It’s not much to see, but if you need legacy stuff it’ll be a life saver.. and I know I’ll end up losing the flags and needing them again! The articles from Microsoft are available here and here. It sounds like some good fun…. This security update resolves a privately reported vulnerability in Microsoft Virtual PC and Microsoft Virtual Server. An attacker who successfully exploited this vulnerability could execute arbitrary code and take complete control of an affected guest operating system. An attacker could then install programs; view, change, or delete data; or create new accounts with full user rights. I know I’ll be updating all my machines…! While I was looking around at fleshing some stuff out on gunkies I came across this little nugget of MS-DOS history. You can actually download 86-DOS the precursor to MS-DOS! And it even includes a bunch of SOURCE CODE! 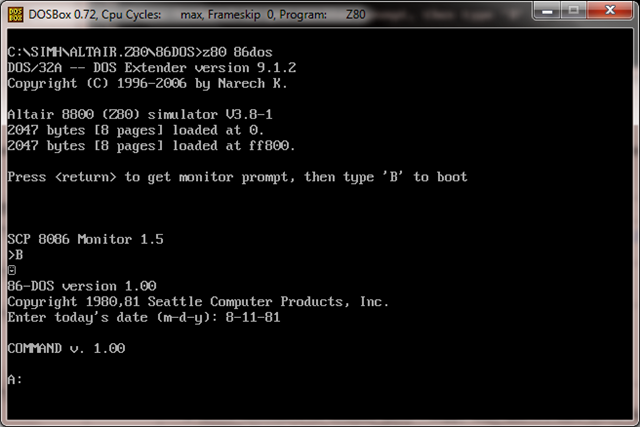 The best part is the awesome emulation suite SIMH can run 86-DOS! Ok, for the first part of this, I thought I’d try my MS-DOS build of SIMH 3.81 which can be found on the sourceforge pages here. Because I’m using a 64bit OS there is no 16bit environment to kick start DPMI stuff, so I’m using the most excellent DOSBox emulator. Thanks to the hard work of Peter Schorn, you can download the run able image for 86-dos right here, then simply point the Altair z80 emulator from SIMH to it, and you’ll be running in no time. 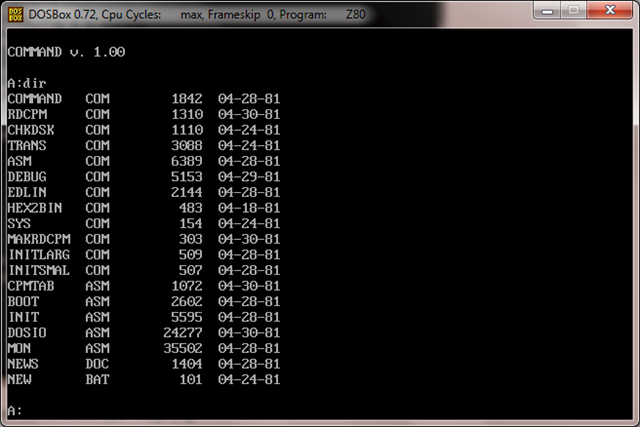 To run it, simply point the z80 emulator to the boostrap file 86dos. Then just follow the onscreen prompts. Then you’ll be up & running! Notice how the prompt is different from MS-DOS, and yet how familiar it ‘feels’. Also check out the commands! Rumor has it that edlin has largely remained the same, up to TODAY on 32 bit versions of Vista! I haven’t even verified it, but it would prove interesting. I should also point out that Peter has amassed quite the collection of CP/M images, programming languages and other interesting stuff here.